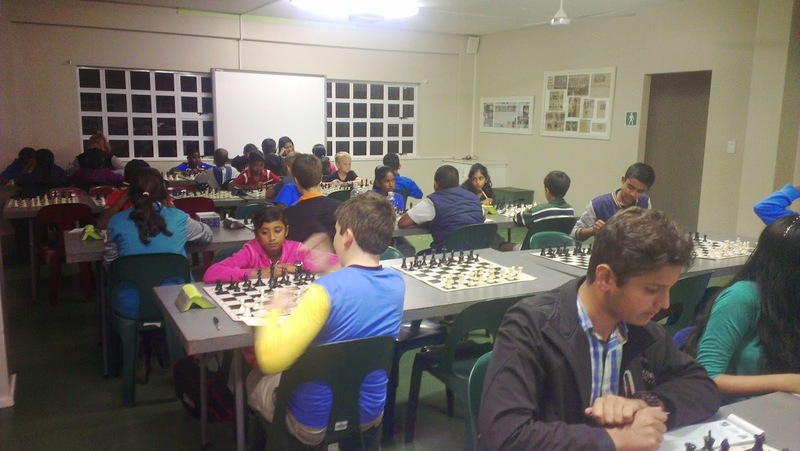 Glenwood Chess Club's first club championship tournament has just concluded. 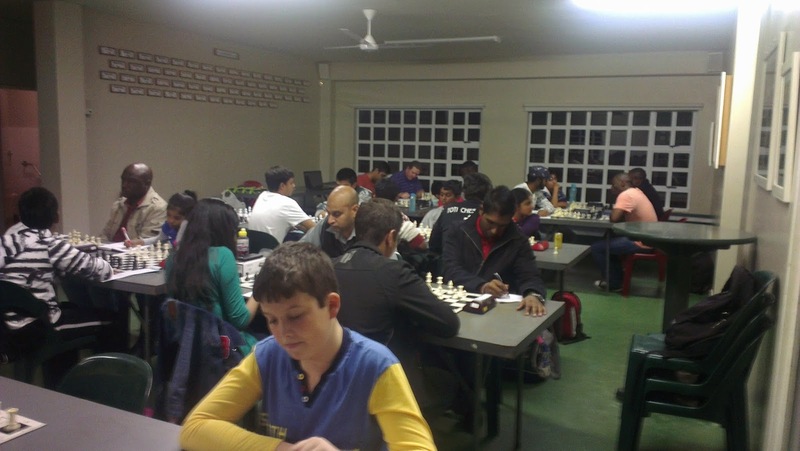 GCC attracted close to 60 players to compete in the tournament, which was divided into five sections. 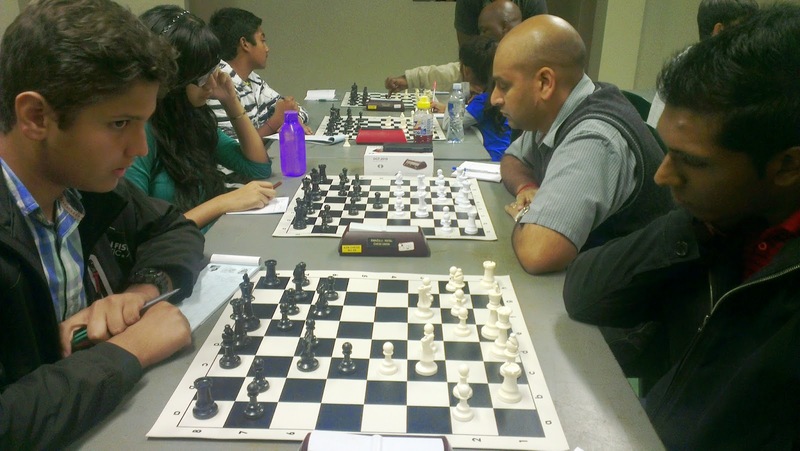 The E Section which was a 9 round swiss, saw Dayaan Parthiphal finish clear 1st with 7/9, a point and a half ahead of the field. 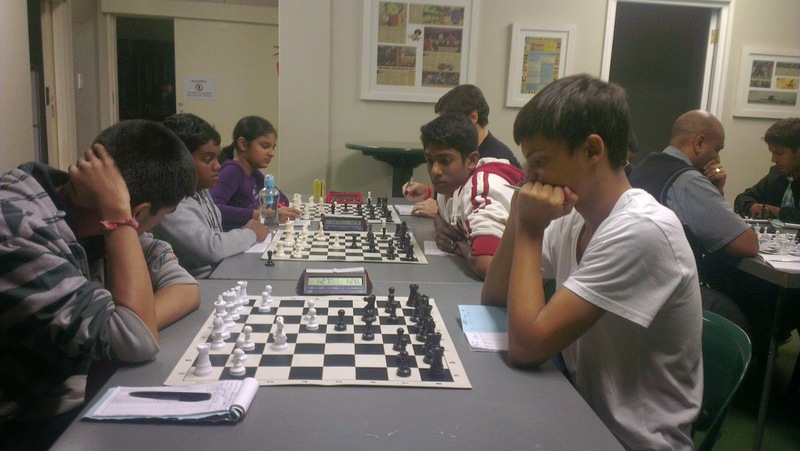 Sachin Pather came 2nd with 5.5/9, and Thanushree Pather was 3rd with 5/9. 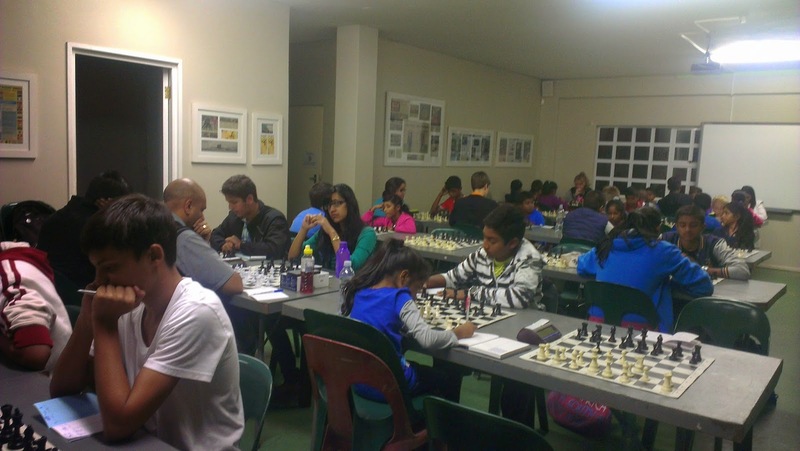 The D Section was a 10 player round robin, with Joshua Bezuidenhout emerging 1st with 7/9, half a point ahead of the field. Zahra Kara came 2nd with 6.5/9, followed by Chad Blomeyer with 5.5/9. 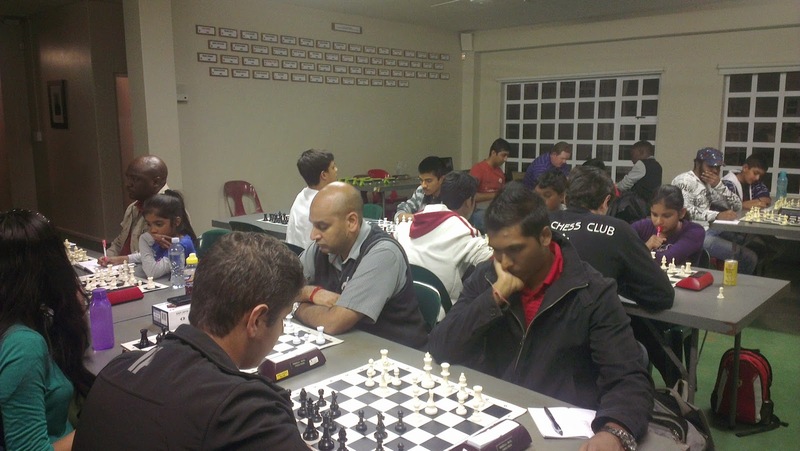 The C Section was won by the club's director - Divesh Sookdeo, who finished with 6/9, a half point ahead of his field. 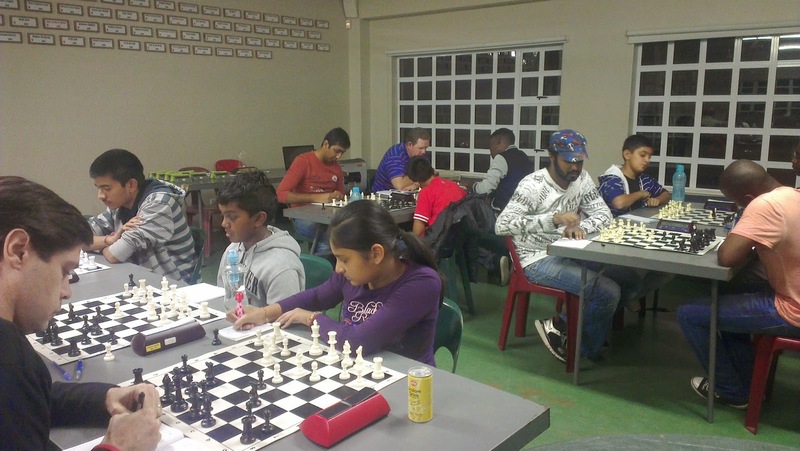 Nathi Ngubeni, Sachin Ramgoon and Adhir Lalla shared 2nd place with 5.5/9. 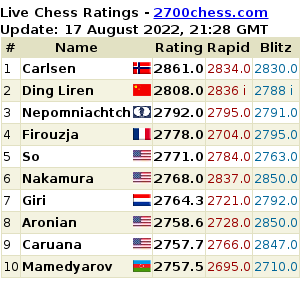 The Candidates Section was won by Shivar Gopaulsingh, with 7/9, a half point ahead of his field. 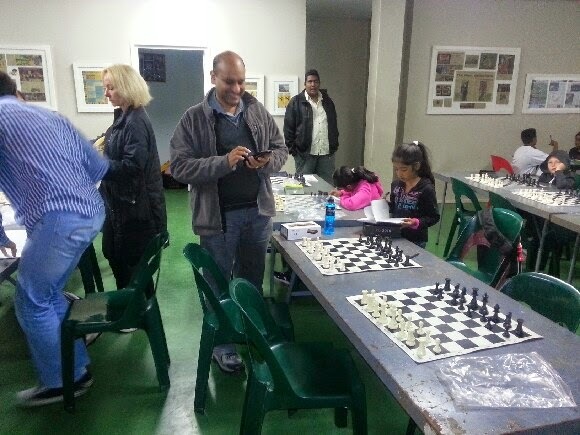 Petros Ntombela came 2nd with 6.5/9 followed by Yashkar Balmakhun with 5/9 for 3rd place. And finally the hotly contended Championship Section was won by Joseph Mwale and Jason Subke with 7.5/9, with Lulama Qobo and Bhekinkosi Mgobhozi sharing 3rd place, with 5/9. GCC members prepare for their games. The young school players use old school pen and paper tech, and the old school players with their flashy hand held tech.